While yesterday's "Avengers" marketing parody by Image comics seemed rooted in at least a dash of seriousness with a feasible shot of Invincible seemingly announcing his spot on The Guardians of the Globe's new team book launching in August, the publisher's newest unveiling calls everything into question. With so much lampooning going on, now it's less clear if "Guardians of the Globe" is even an actual series with an actual August launch date. I guess we'll just have to wait and see what the rest of the week brings before we make an official call. 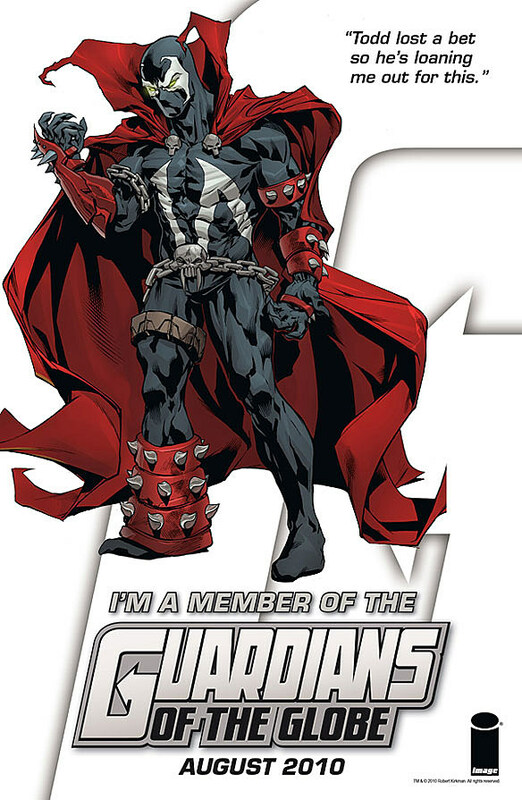 See the image in its entirety (including Spawn's massive cape) after the jump.